Norwegian, Trondheim-based vocal artist Eldbjørg Raknes is known for her a highly expressive, free improvised and wordless, vocal technique, often enhanced with a subtle usage of electronics. She is also an esteemed educator, an associate professor at the jazz department of Trondheim NTNU University, a close collaborator of some of the forward-thinking musicians as pianist Christian Wallumrød, guitarist Stian Westerhus (who mixed this album) and sax player Eirik Hegdal and runs the countryside Sjøbygda Kunstnarhus, a hothouse for artistic projects (Raknes was the one who encouraged drummer Paal Nilssen-Love to form his dream band, the Large Unit, in this place). Raknes is also an artist that never subscribes herself to any genre or style. So it is no surprise that she wanted to explore again the jazz standards tradition but as she defines it, “where one can go with it!” She invited Swedish pianist Oscar Grönberg, who now resides in Trondheim, member of sax player Hanna Paulsberg’s Concept and the free jazz Friends & Neighbors group, to join her. The album was recorded on the second rehearsal session, with a view of the beautiful, peaceful scenery of the Stamsund island in the Lofoten archipelago in northern Norway. The quiet atmosphere of the recording, together with the fresh, skeletal arrangements of the familiar standards charged these songs with a unique aroma. Raknes sings Gerry Goffin/Carole King “You Make Me Feel (Like a Natural Woman) or her own adaption of American poetess Dorothy Parker “On Being a Woman” like a mature, compassionate meditation on woman sensuality from a perspective of a wise, experienced woman who has her own insights about the elusive nature of love, romance, its fragility and its great, formative power of love in our lives. The economic playing of Grönberg on songs as “Blame It On My Youth”, “When You Wish Upon A Star”, “Takes Two to Tango” or Joni Mitchell’s “River” adds a deeper contemplative dimension to these topical songs. All songs suggest and do sound now, in its modest, subtle arrangements, as offering illuminating insights on love, in its many manifestations. The last song, Stephen Sondheim/Leonard Bernstein “Somewhere” receives a minimalist-meditative arrangement that turns it into a touching lovers prayer. 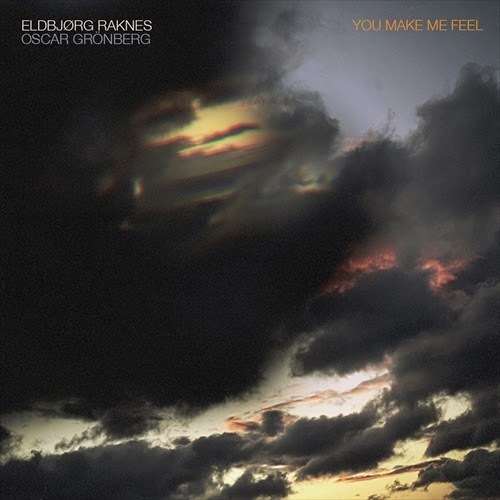 The patient, leisured phrasing of the clever lyrics highlights the rich, deep-toned voice of Raknes and the profound understanding of Grönberg of the melodic essence of these songs. Both suggest an organic vibrant interplay that attempts to reintroduce and revisit these timeless emotional songs from a contemporary angle that encompasses its innocence - in most of the lyrics and the melodic core - with a skeptic irony. Welcome Eyal! And thanks for your great contribution. A very welcome from me as well, Eyal! Nice review and really good album.